As we all know, Best Brains auctioned off props for about a year and a half. About a year into the auction (that sounds weird doesn't it) I finally won myself a prop! Mike's Newer SOL Trenchcover. 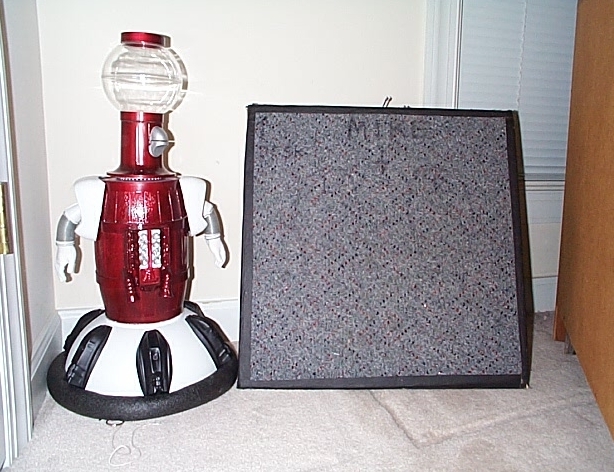 The fantabulous thing Mike stood on for the Scifi Channel years. Yep, that carpeted pad with footprints on it. 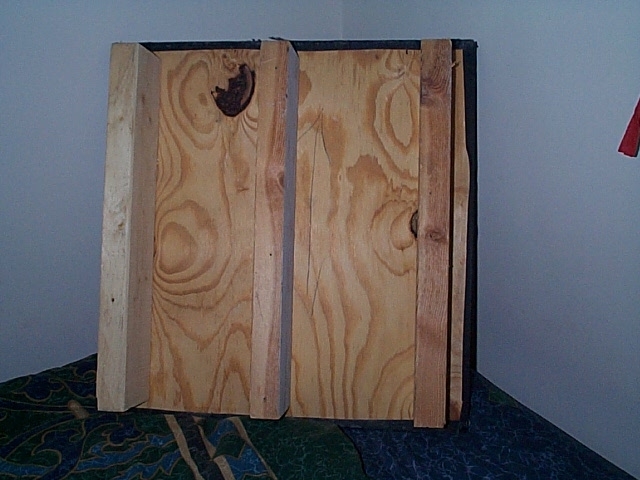 This thing was the free sliding pad that sat over the puppet trench and provided a place for Mike to stand. It also gave Mike a little reminder of which way to face just in case he forgot. This thing is huge. 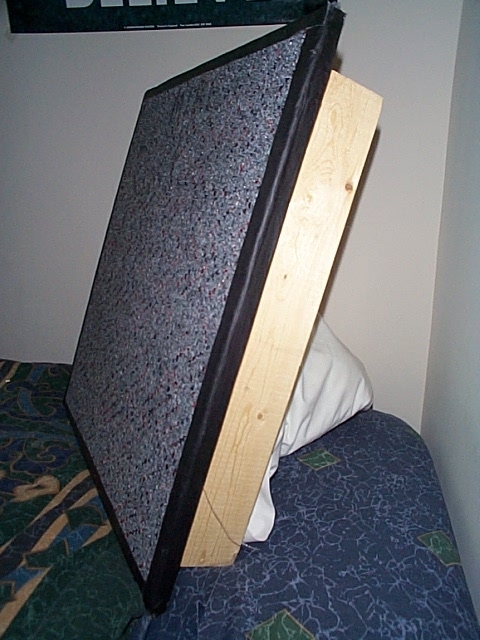 It is about 2 feet by 2 feet by six inches, and is of a 2X4 construction, with the carpet being held on with gaffers tape and staples. It was around the 290th thing BBI auctioned. This is a picture of the trenchcover, the certificate of authenticity, and the FedEx packing slip. I save everything. 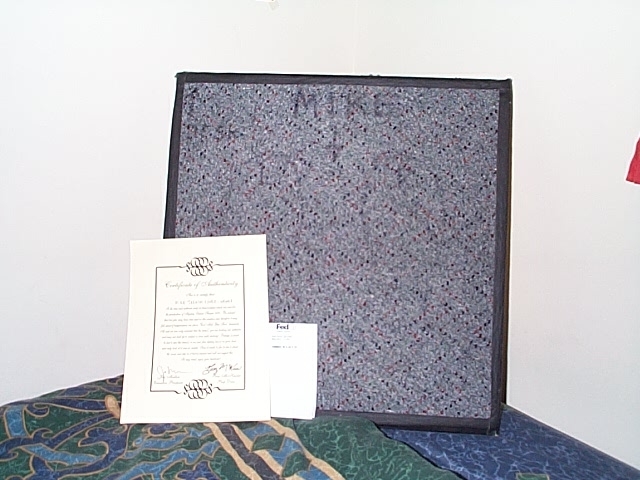 The name "Mike", 2 footprints, and the word "Desk" with a line pointing to the desk (In case Mike forgot) are clearly visible. The certificate is signed by none other than Beez McKeever and Jim Mallon. This is a view of the back of the trenchcover. In this picture, you can see that it is simply made out of a piece of plywood, and 3 2X4's. This is a side view of the trenchcover, to give you and idea of how deep it is. Here is sir Thomas taking a look at the famed "Trenchcover." Here is Tom enjoying himself on top of the trenchcover. Oh, my room isn't really this bare, I was moving stuff around that day and just decided to take some pictures. Well, that was my prop, now here is my friend Joey's prop. I met Joey in July at Gateway Con, and quickly befriended him. He won this prop about 3 weeks before the auction ended and actually paid very little for it compared to what most of the props at that time were selling for. Of course, paying 100 dollars for a prop was a bit more than 61 bucks for me! 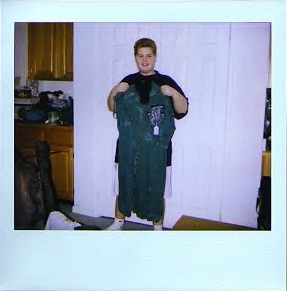 Anyway, here is Joey with Mike's Spider Costume from episode 1011, The Horrors Of Spider Island. 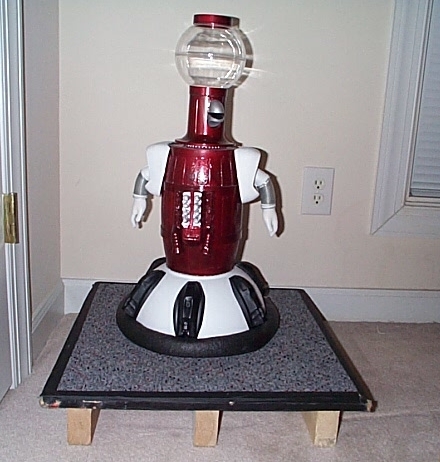 Mystery Science Theater 3000 is �89 - 2002 Best Brains Inc.
Website design �00 - 2002 Jeff Zehnder Jr.